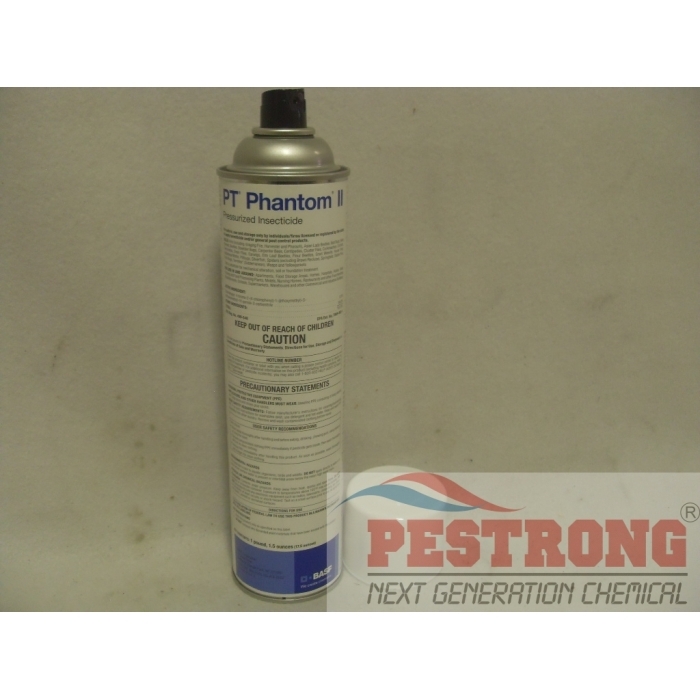 Where to Buy Phantom II Aerosol, PT Phantom II Pressurized Insecticide Aerosol - 17.5 oz - $23.95 for Sale with Fast Free Shipping! 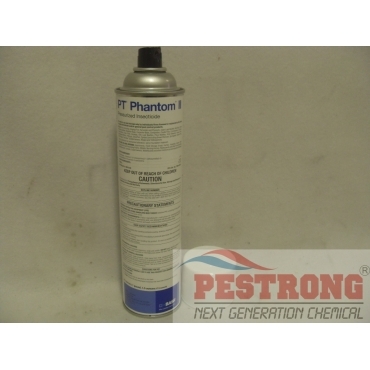 PT Phantom II Pressurized Insecticide Aerosol - 17.5 oz control general pests in commercial accounts easier and faster than ever with residual non-repellent effect. Avenger Weed Killer Concentrate - Qt - 1 -.. Compared to ordinary sprays that leave a residue, Phantom pressurized insecticide delivers the active ingredient more effectively by drying in crystals without leaving a visible residue. Formulation dries in "crystals" for enhanced bioavailability. Ready-to-use formulation reduces overuse and eliminates mixing and cleanup. Kills on contact a broad spectrum of pests in commercial accounts, including bed bugs, bed bug eggs, ants and cockroaches. Approved for use in food handling and non-food-handling areas for commercial accounts. Reduced pesticide load and precision application that make sense to your customers and for your business. Phantom II containing less odor with same active ingredient. this is a great product for ants. I use it inside around the moulding cracks and crevices, behind the walls where plumbing pipes come under the sinks - it is great! This products is great for springtails. It doesn't leave staining on painted walls. This is very excellent aerosol to control pest inside house.